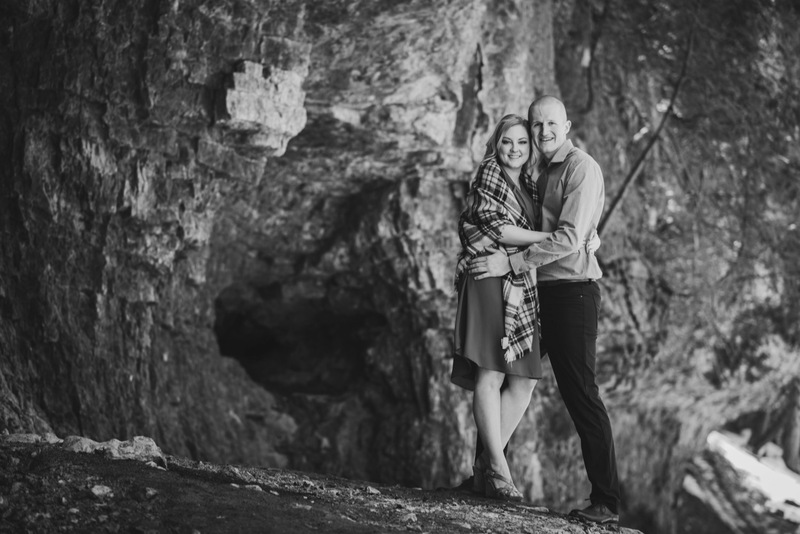 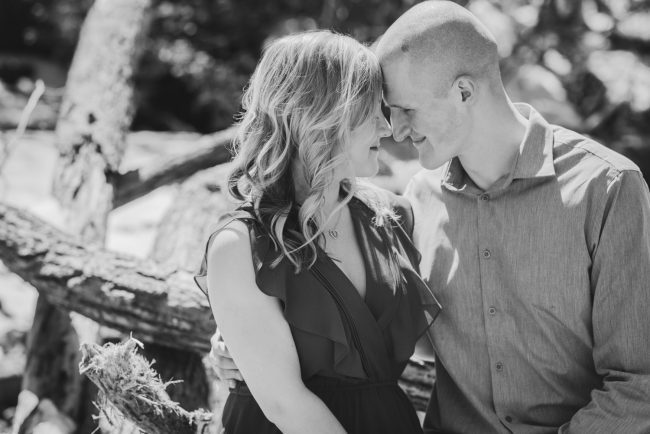 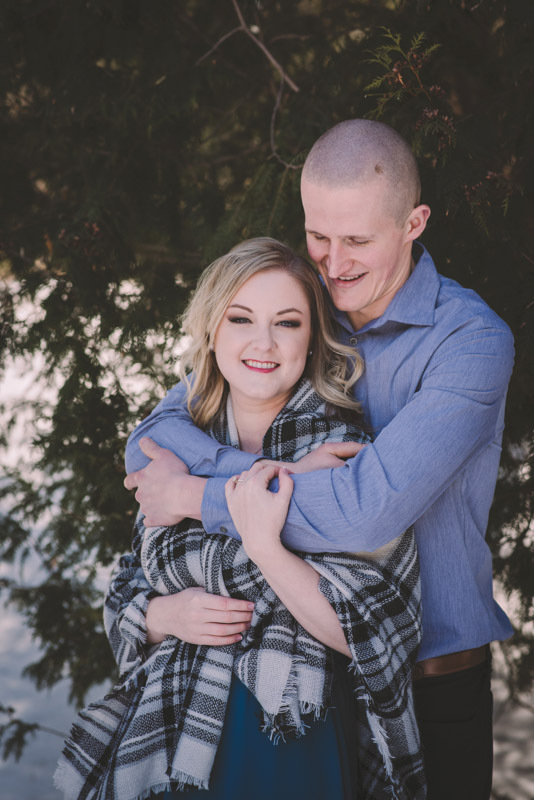 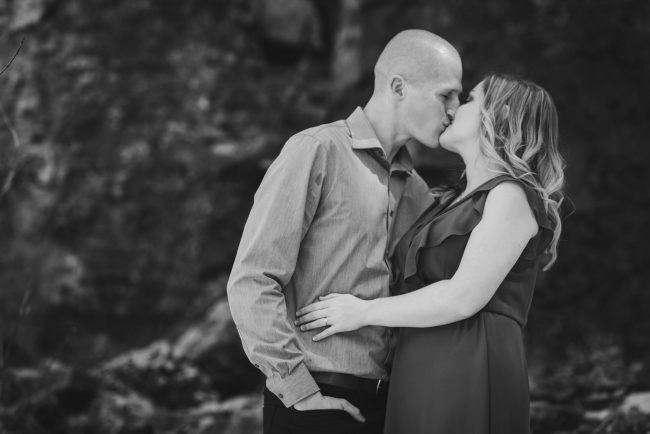 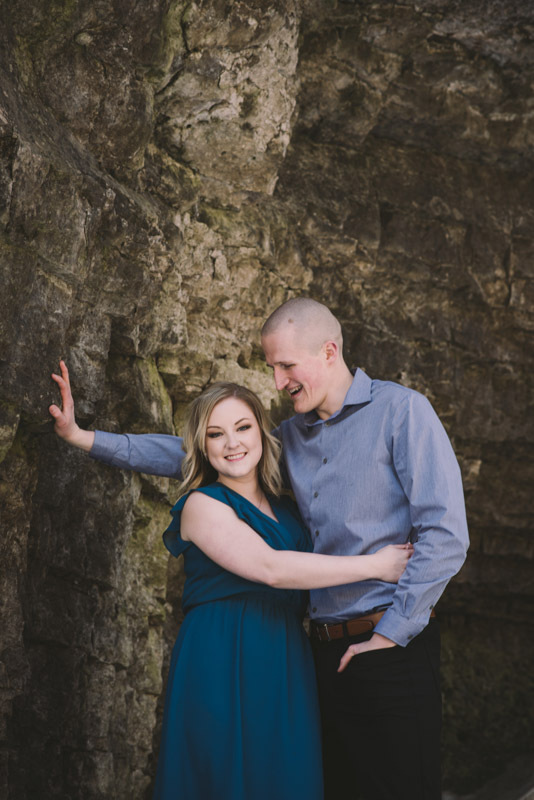 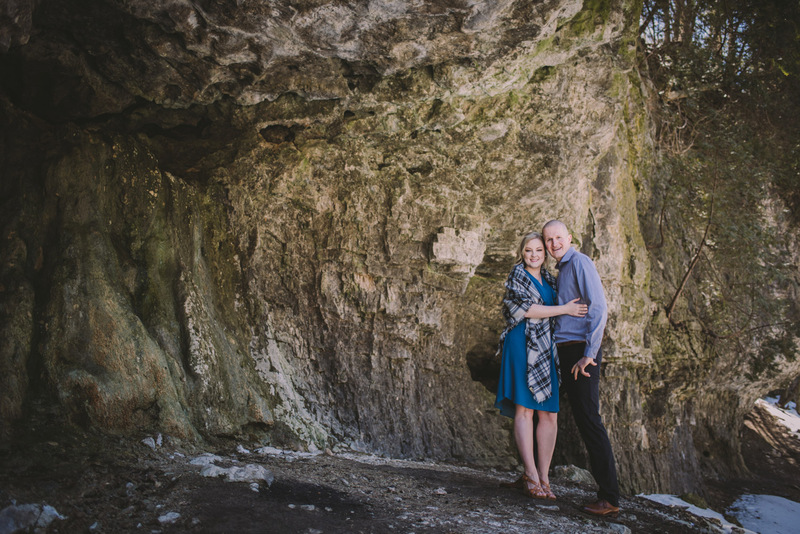 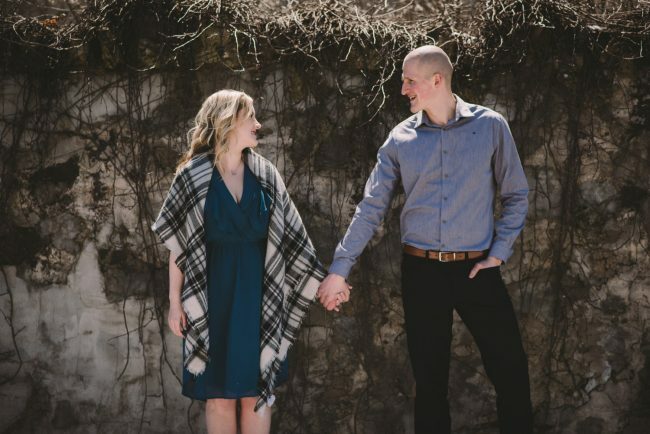 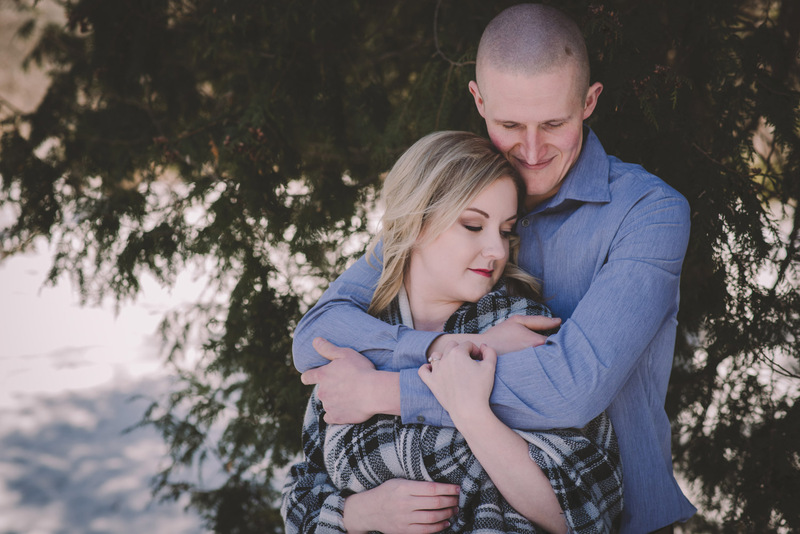 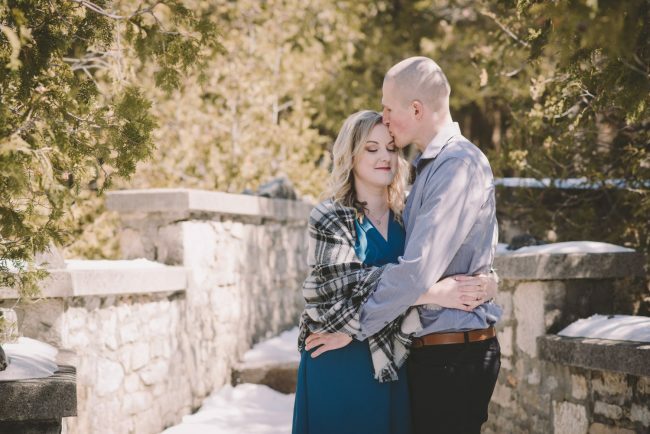 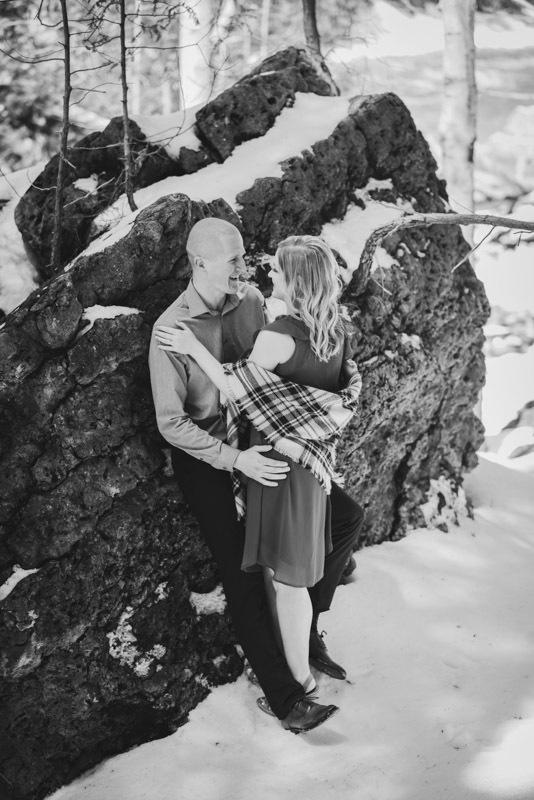 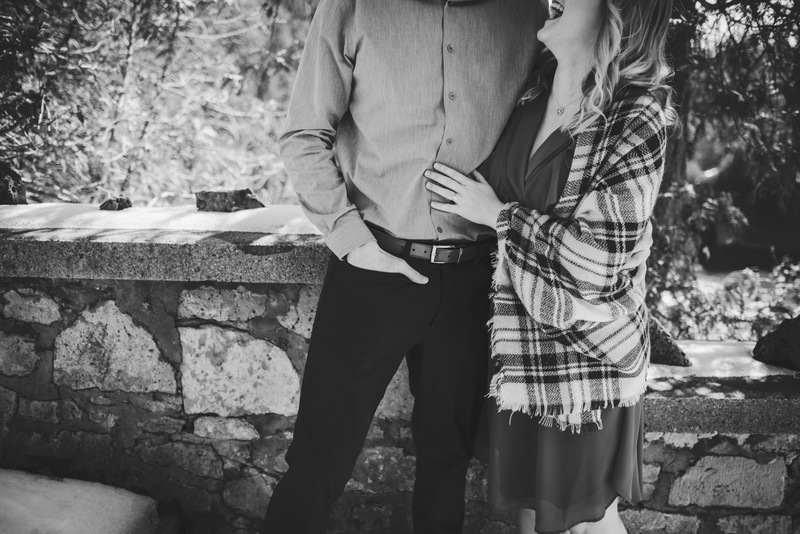 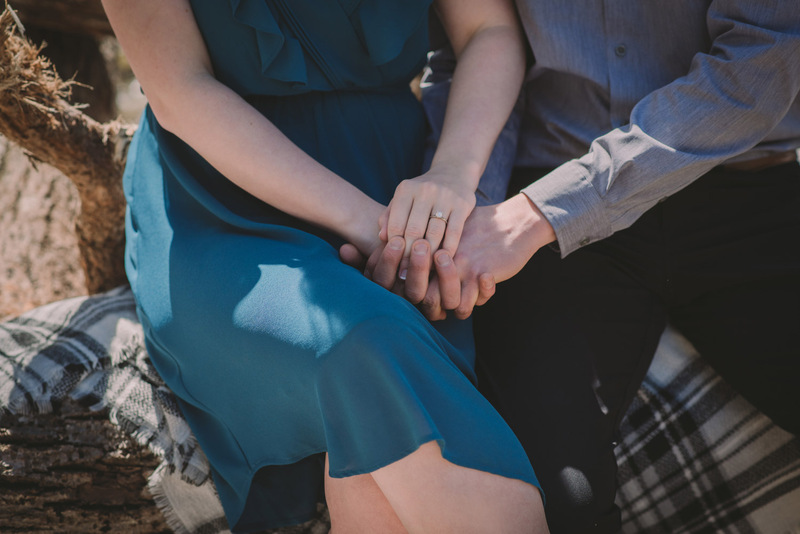 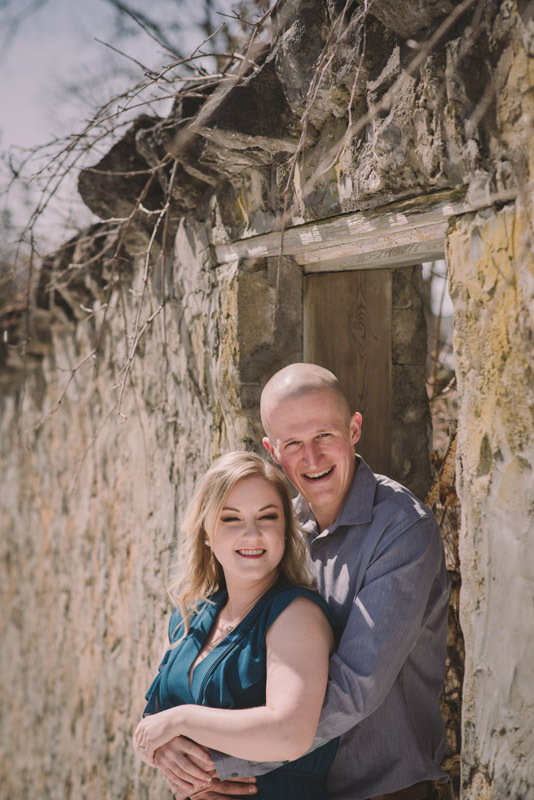 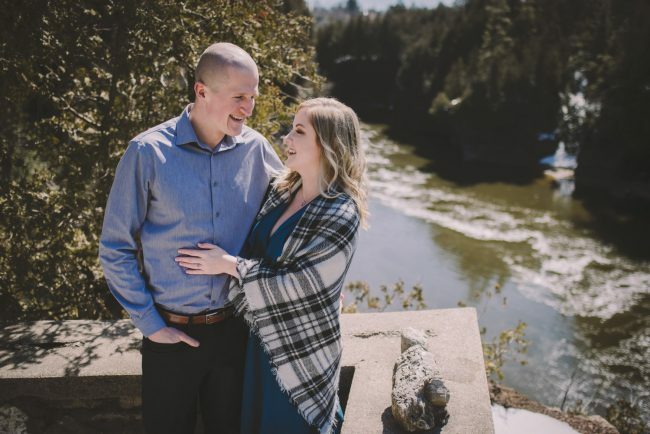 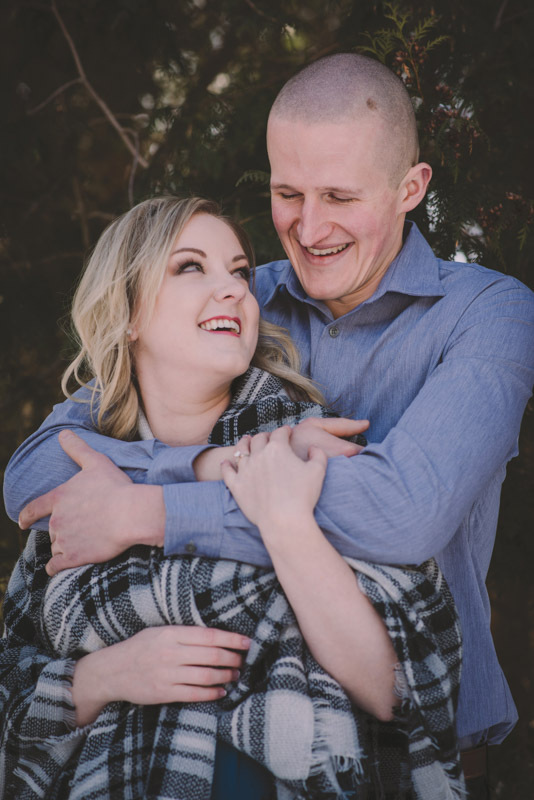 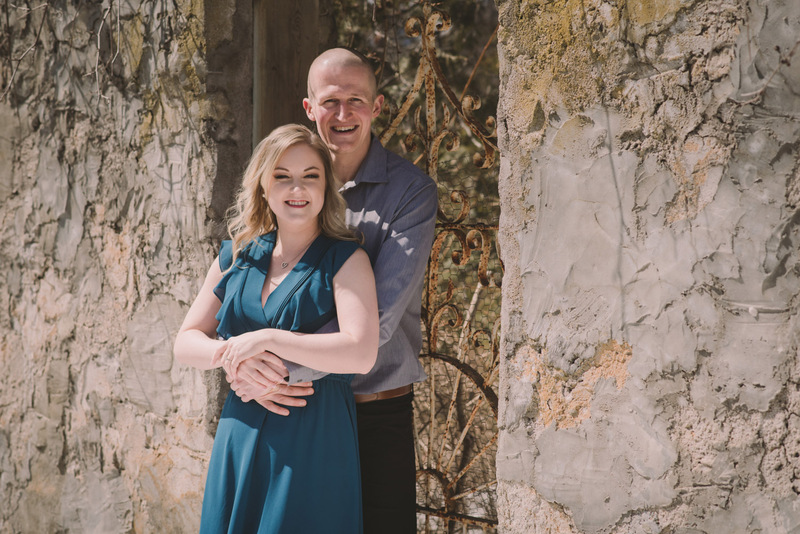 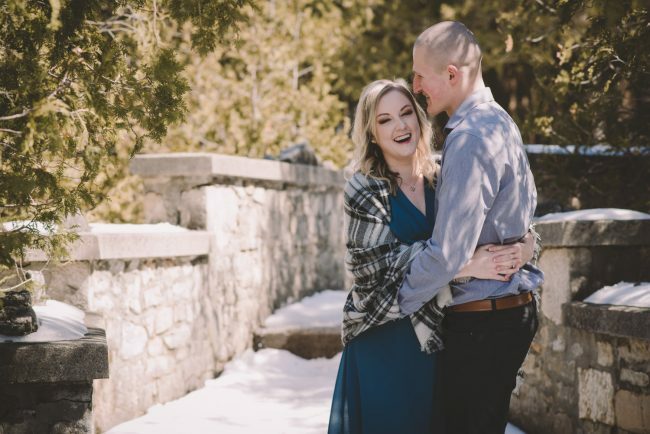 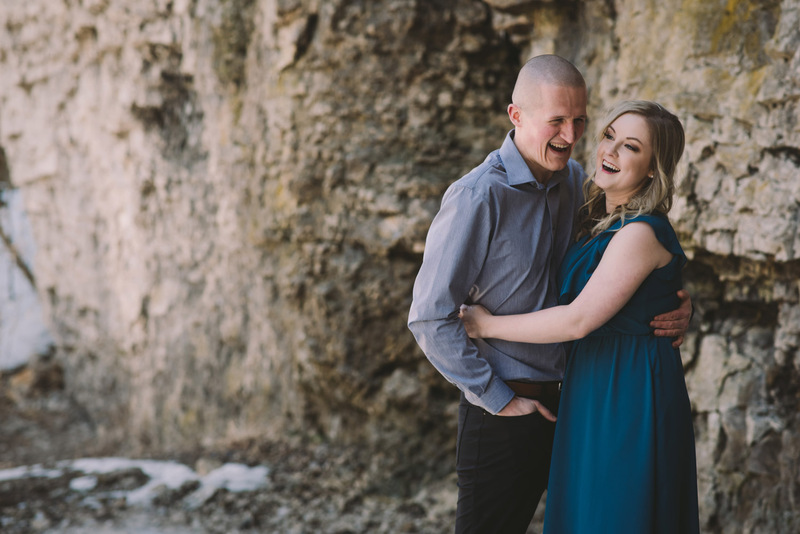 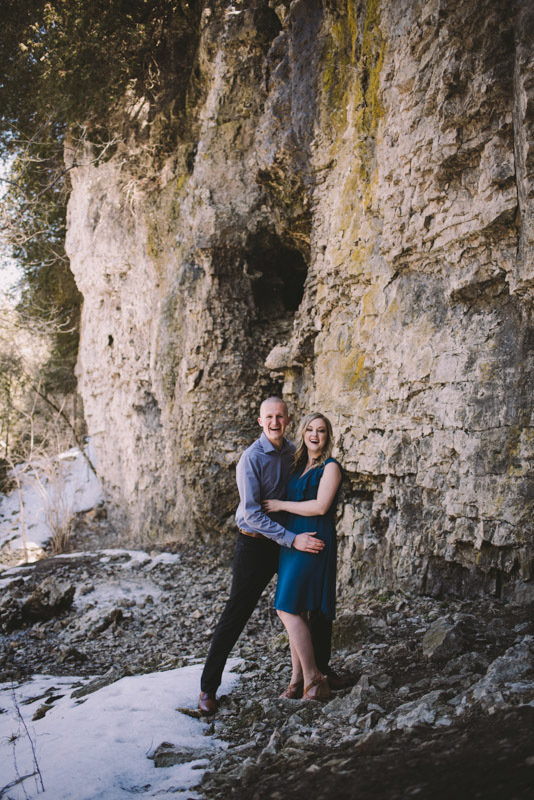 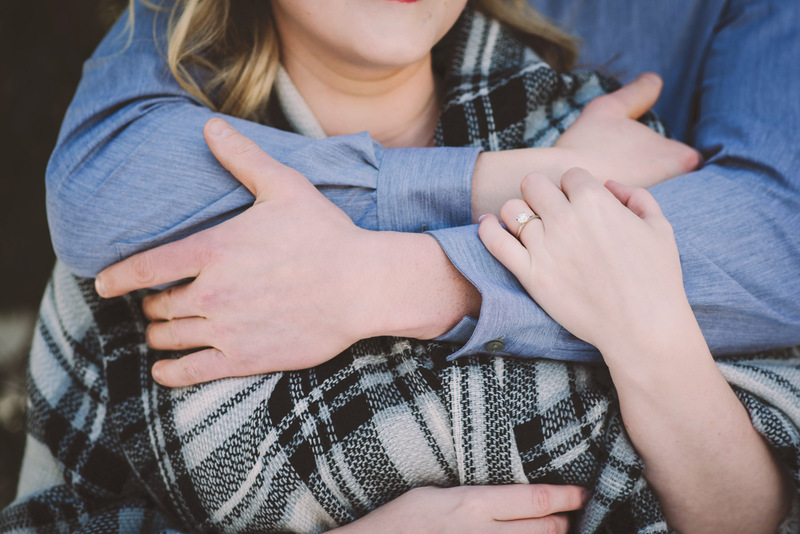 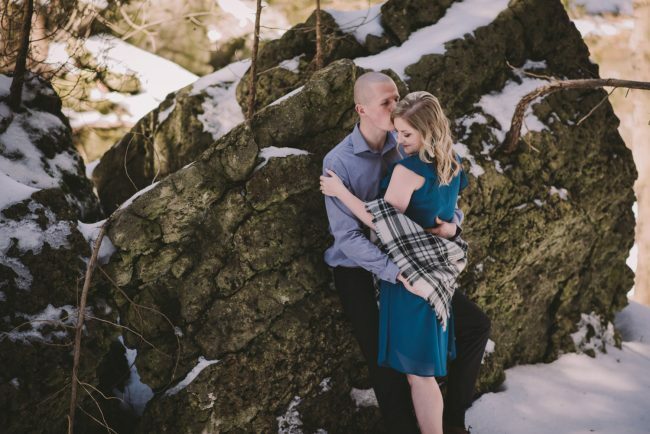 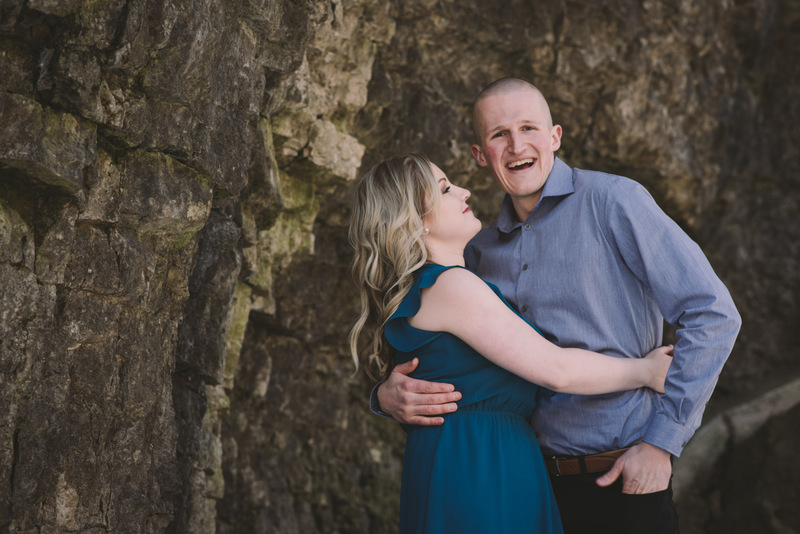 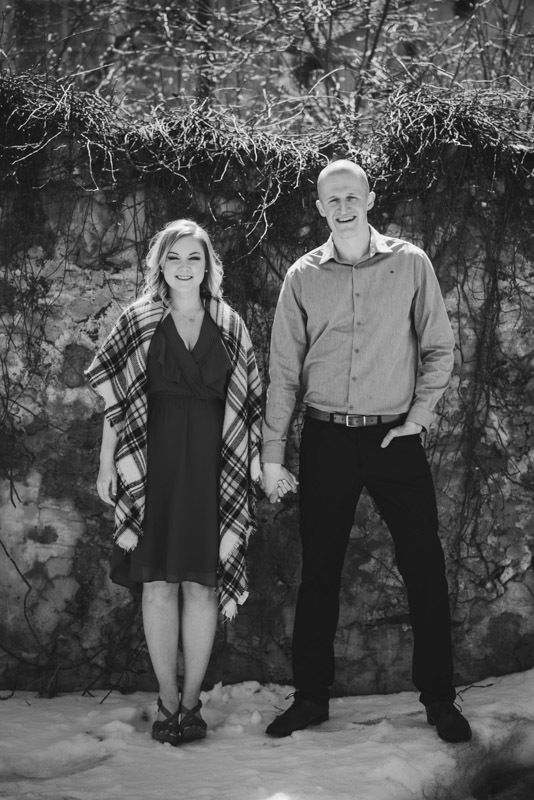 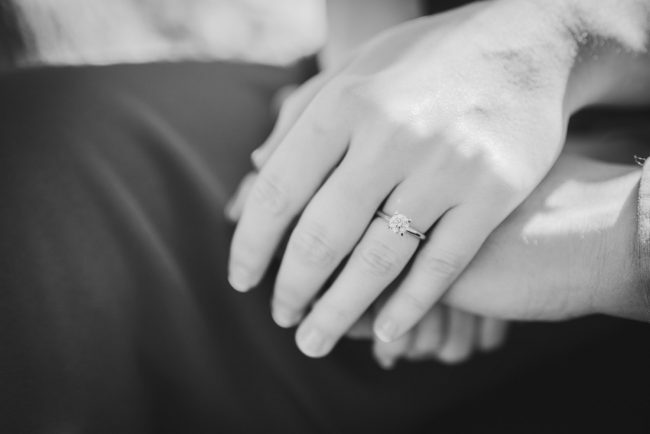 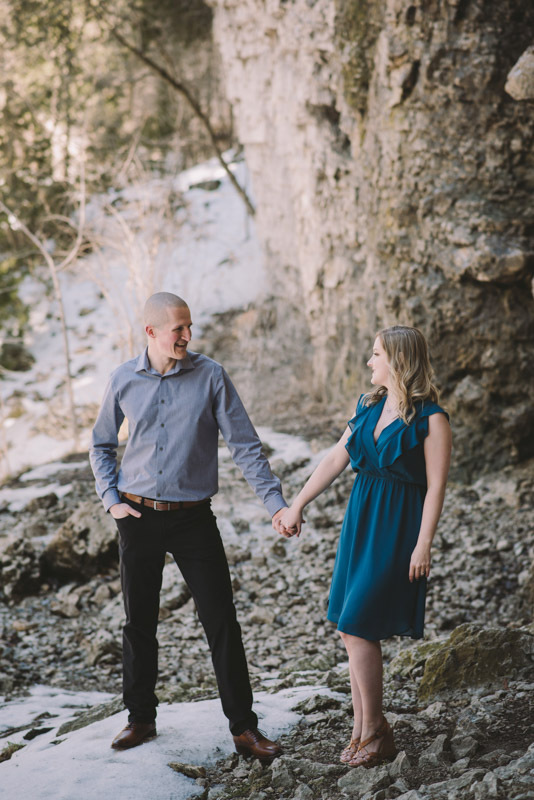 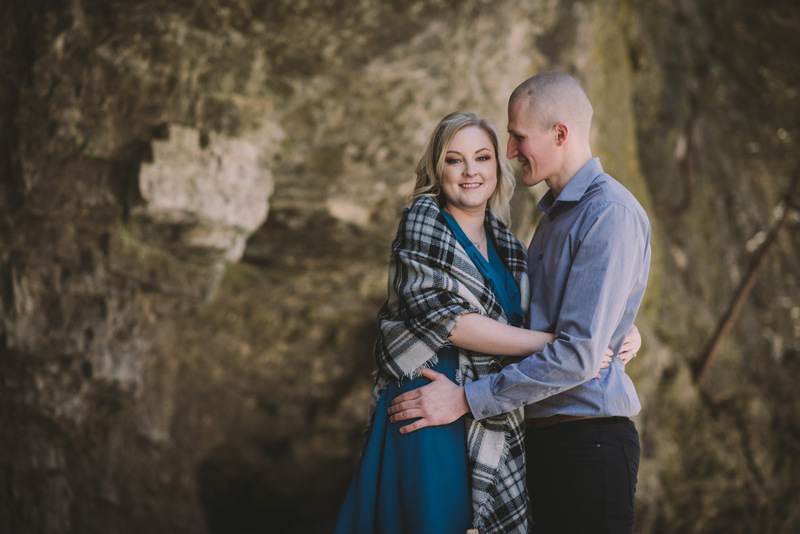 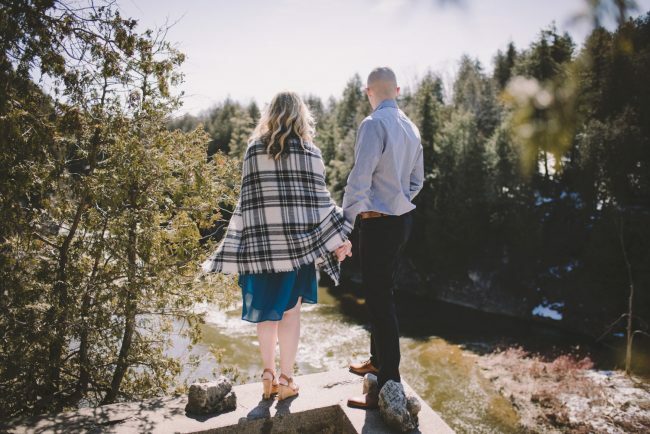 Angelina and Brian wanted to explore the beautiful Elora Gorge area near Elora Mill for their engagement session. 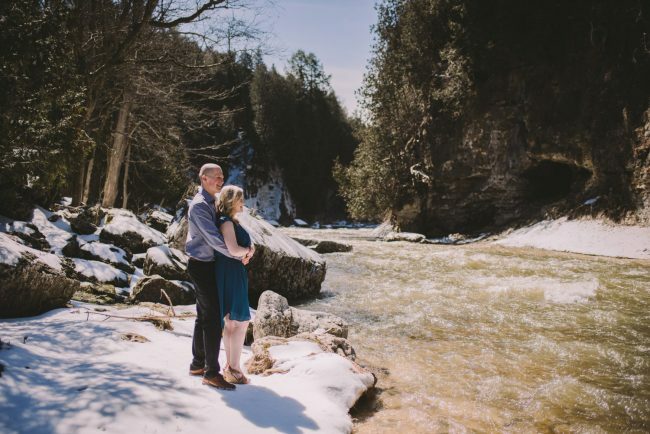 Despite the snow and ice, they were game to trek down a treacherous set of stairs to get to the river (did I mention Angelina was in heels!?). 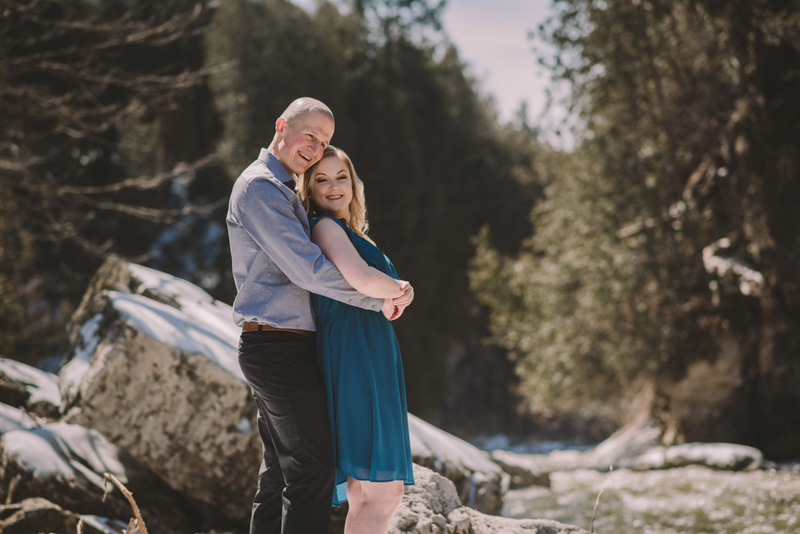 Miraculously, we had zero incidents, and as a result captured some gorgeous (no pun intended) sunny photos by the river! I love when my couples have a sense of adventure!